The first half of this year was exciting for marketers as it combined all the challenges we could imagine into the same period. 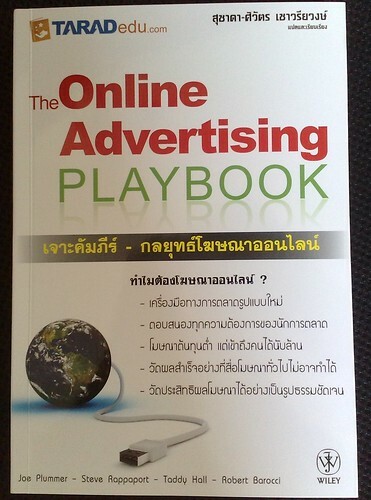 While Bangkok situation is not very stable, we still see the growth in advertising spending. Digital advertising also increased significantly. Here is our view towards the past and the coming future. During the first half of 2010, many of the high-involvement products were active on search engine marketing. Travel and consumer electronics are the biggest growth categories at almost doubled spending compared to the same period of 2009. Consumer goods and finance also become very active, however, from a relatively small base. We foresee even higher amount of budget being shifted into this area throughout the 2nd half of this year. As a consumer, we all spent more and more time Facebooking with our friends either from computer, iPhone, or Blackberry. So do the 4.2 million other Thais. This is an absolute high growth of 7 times compared to the number of Facebook users in June 2009 and more than double of the number at the starting of this year. No wonder it’s a massive hit. Thai marketers are quite quick responded to this change. More than 100 brands has created their “Fan Page” and start their conversation with their customers. Many of the early-adopted brands start rolling out their Facebook policy and procedures rather than doing it by “trial and error” like last year. We foresee this hit will keep continue throughout the year and may start shifting more to mobile devices as well as integrated more with offline activities.